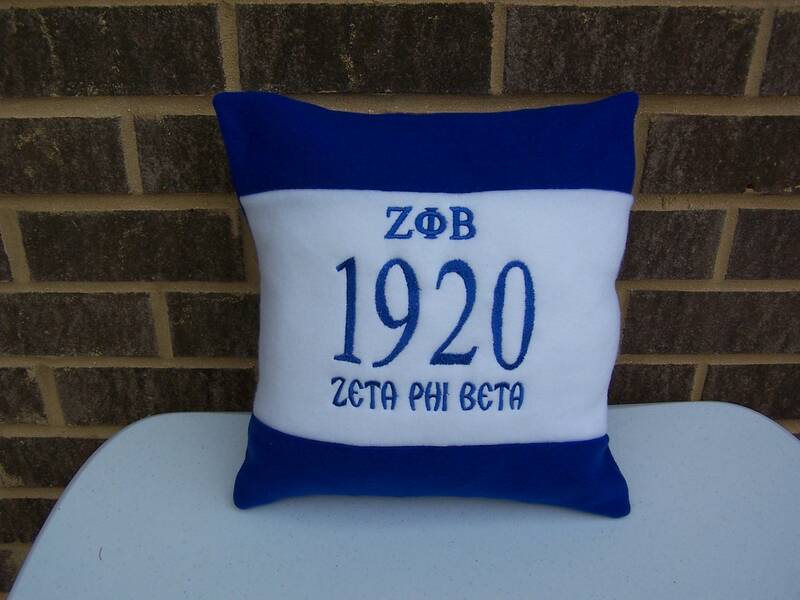 Royal Blue and White Fleece pillow, embroidered with Zeta Phi Beta greek letters, and founding year on middle white section of pillow. Pillow has envelope back for easy removal. Both pillow and cover are washable. Perfect gift for your favorite Zeta. Great addition to the decor of the dorm, bedroom, den, theatre room. Please send a convo with the information needed to personalize your item. Name, initials, etc.